A white smile cannot boast of all, but the color of the teeth should not be perfectly white, because of the nature of tooth enamel has a yellowish, and sometimes a gray tint. The color of teeth changes with time under the influence of bad habits, tea, coffee, juices. And the essence of any whitening is to remove the coating from the enamel, returning it a natural color. Before you start the procedure for bleaching the enamel at home, you need to consult a dentist. If the doctor confirms that the enamel is thick enough, the teeth are healthy, and the yellowness is on the surface, you can start the bleaching procedure. Do not experiment during the eruption of wisdom teeth. Do not try to make your teeth perfectly white. In addition, after bleaching to care for the oral cavity should be treated more closely. At home, teeth can be whitened using one of the methods. 20-30 drops of peroxide diluted in ½ cup of water. Rinse the mouth with a solution. With a cotton swab dipped in hydrogen peroxide, gently rub each tooth on all sides. You cannot rinse your mouth with undiluted substance, so you can get a burn of the mucous gums and damage the enamel. During manipulation with gum peroxide, a little oven can be used, this will eventually pass. Teeth whitening with hydrogen peroxide is not recommended to use often. This method is very popular. 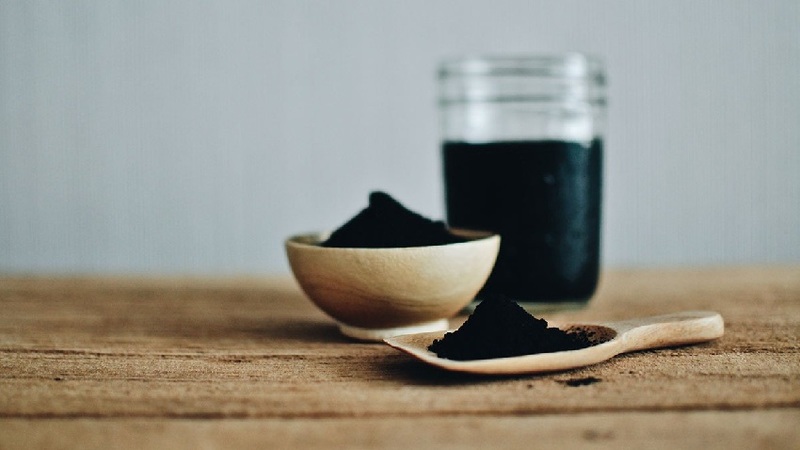 Whitening with activated charcoal powder is safe enough for gums and enamel. In addition, if coal enters the stomach, there will be no unpleasant consequences. One tablet of activated carbon should be placed in a cup. Add a couple of drops of warm water and crush the coal to a homogeneous mass. Brush your teeth with a gruel, then rinse your mouth thoroughly. You can add a grinded coal pellet into the paste and brush the mixture with a tooth. An effective method is the usual chewing of one tablet of activated carbon for 3 minutes. Then you need to thoroughly rinse the mouth with warm water. Teeth whitening with activated charcoal is recommended to be performed no more often than once a week and a half. The result will be noticeable after 3 times. A wet toothbrush should be immersed in soda. Then brush your teeth for a few minutes, avoiding the gentle area of the gums. Movements should be smooth and gentle. Soda stir with toothpaste (1: 1) and the usual way to gently brush your teeth. You can rub your fingers with soda into the enamel, avoiding the gums. Dissolve 1 teaspoon of soda in a glass of hot water, rinse thoroughly with this solution of the mouth for 20 minutes. Then brush your teeth in the usual way. Whitening teeth with soda is recommended to be repeated 3-4 times a week. The procedure should be done carefully, so as not to damage the mucous surface of the mouth. Next Next post: Summer-Long Skirt. Tips For Choosing.